Aquarium of the Pacific Giveaway Winner! The winner by random number generator is Eleanor Baltazar!!! Congrats and check back for another giveaway in October. 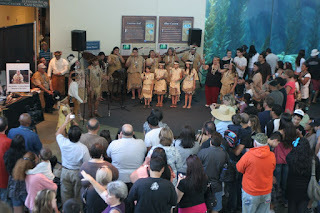 Aquarium of the Pacific GIVEAWAY for Moompetam Festival Sept 19 or 20! The Aquarium of the Pacific is one of my FAVORITE places to visit with my kids. SO much that I even went there while I was 8 months pregnant with my son during the summer heat in 2011. Yep. 8 months preggo! Here's your chance to win a family 4-pack of tickets to The Moompetam Festival at the Aquarium of the Pacific in Long Beach, CA on Sept. 19 or 20. This Native American Festival will feature traditional music, dancing, storytelling, arts and crafts and much MUCH more! Enter by creating a google account (if you don't already have one), follow my blog and leave a comment on THIS post of your favorite memory involving WATER. Entries will be accepted until Wed. Sept. 16th, 10pm PST. I will choose a winner at random and post it on Thurs. Sept 17, 9am PST so be SURE to check back to see if you've won. Good luck!